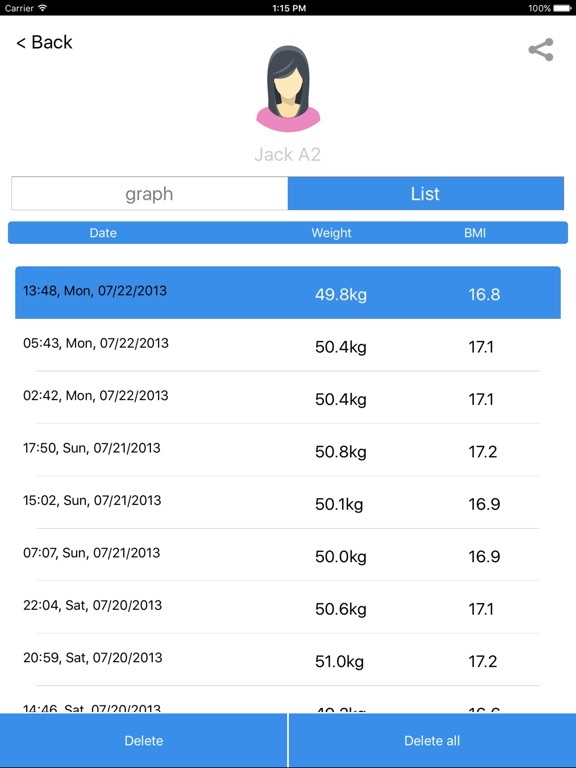 Track your health and stay fit with M-Fitness! 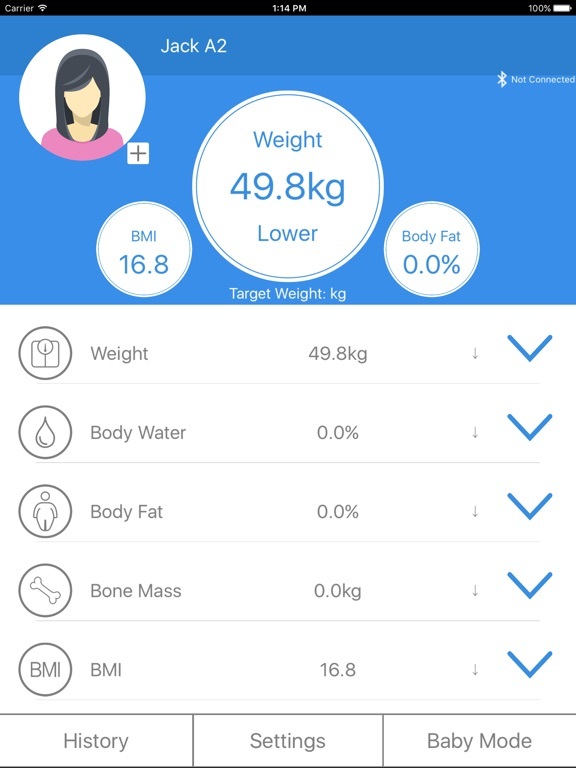 This application allows you to easily monitor essential health and fitness data for: Body Weight, Body Fat Percentage, Body Water, Bone Mass, Muscle Mass, BMI, BMR and Visceral Fat. 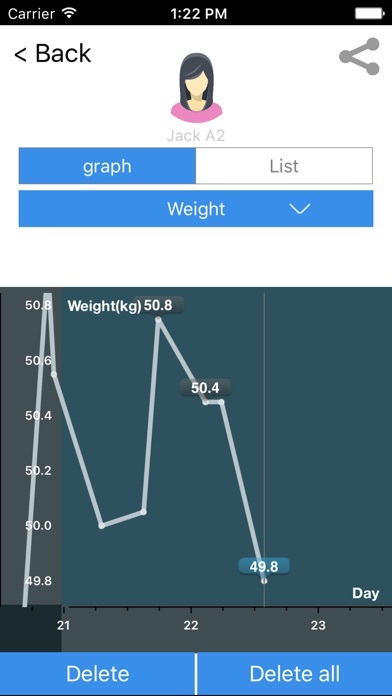 From the graph and chart displays, you can check changes in health trends. M-Fitness helps all our users stay on track for a healthier lifestyle. 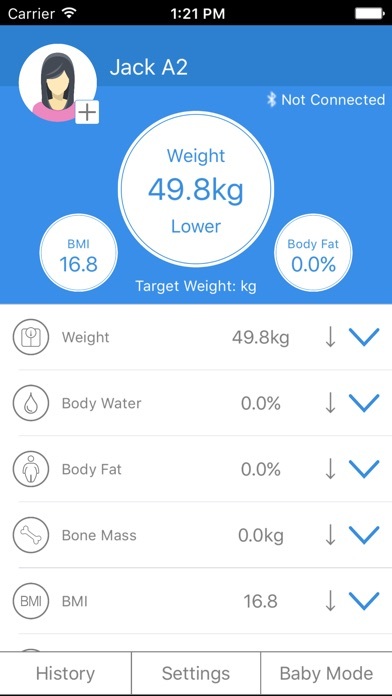 Combine Bluetooth Body Composition Scale with iOS devices, M-Fitness is invaluable. With lifting a finger, all your data will automatically recorded and are available under the application. 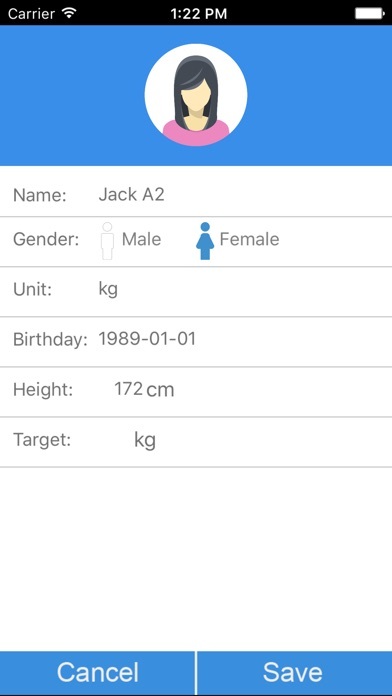 And you can also store multiple users, such as family members and friends in your app, and keep track of their health status. Weigh yourself, M-Fitness will do the rest! 2. Exports data as TXT file. 3. Color diagram to make reading analysis a breeze. 4. Includes standard data sheet for reference. 5. Zoom in for history in a particular hour, day, week, month or year. 6. Take a photo or choose a photo from your local album as your user portrait. 7. 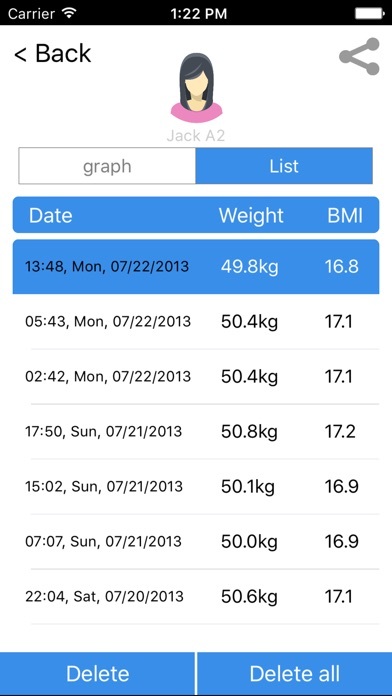 Supporting Apple Health Kit (only for iPhones with iOS8 or new version). 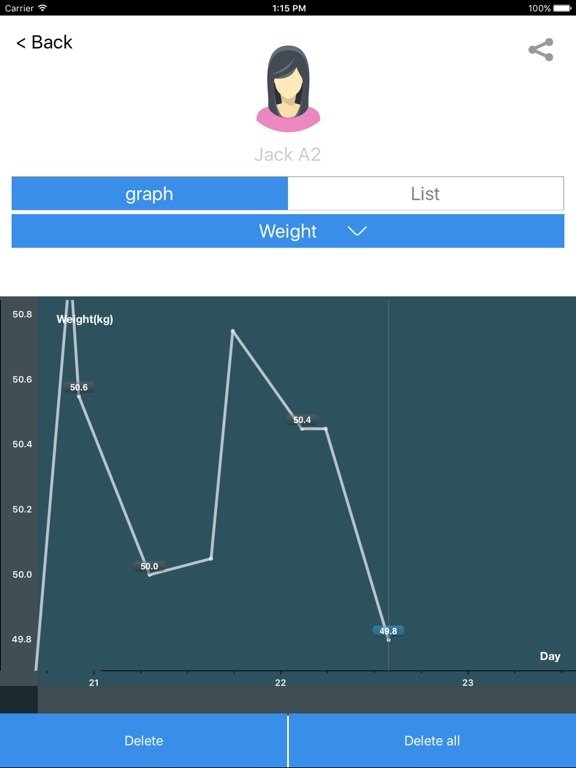 Data includes Lean Body Mass, Height, Body Mass Index, Body Fat Percentage, Weight, Birthday and Gender will be automatically synchronized to Apple Health Kit.